Workshop participants included insurance and re-insurance companies with a demonstrated interest in playing a role in the pilot, financial service providers, delivery channel partners, key members of the relevant government ministries, and regulatory bodies such as the Insurance Regulatory Agency (IRA) of Kenya. 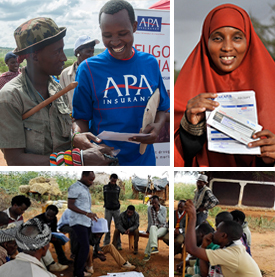 Non-governmental organizations, Community Based Organizations and client representatives such as the Kenya Livestock Marketing Council and the Pastoral Development Network of Kenya, as well as donors and development agencies such as USAID, DfID, the World Bank and FSD also participated. The workshop was opened by Hon. 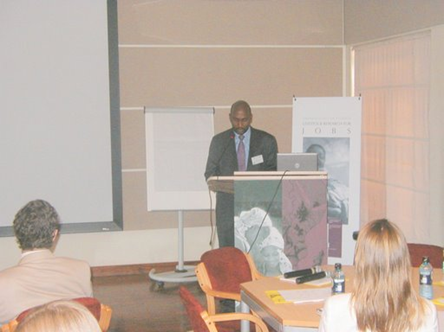 Mohammed Elmi, Minister of Development of Northern Kenya and other Arid Lands. Hon. Mohammed Elmi, Minister of Development of Northern Kenya and other Arid Lands makes his opening remarks. 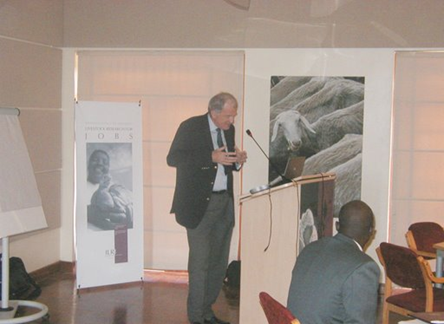 Dr. Carlos Sere, Director General of ILRI welcomes workshop participants. I am glad that the information on the Index Based Livestock Insurance website is useful to you. Good day.